“Going green” doesn’t always mean you are cheering on your favorite college sports team, nor does it mean you are a tree hugger either. It simply means you care about the environment and you want the best for you and future generations, so you take a little extra care in preserving Mother Nature’s goodness. It really isn’t that hard to do and requires little effort on your part – leave it up to the experts and you’ll be doing Mother Earth a favor as well as yourself. Perhaps you are considering a partial or total remodeling of your home, and honing in on the kitchen. 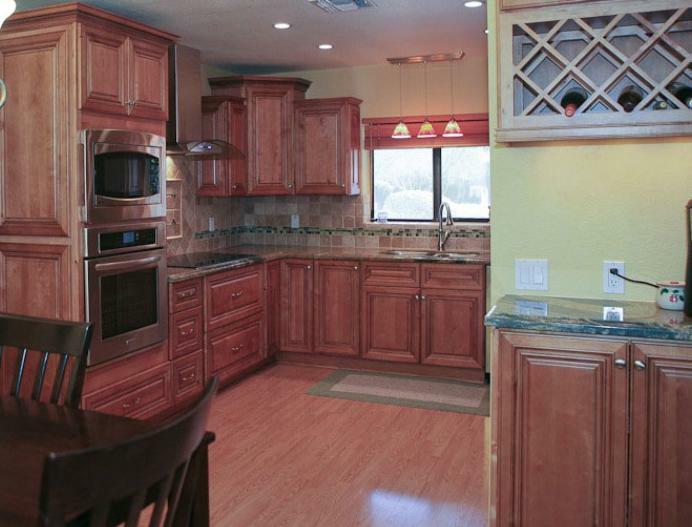 A kitchen remodeling expert can clue you in on the best suggestions and remodeling ideas on creating a green kitchen. Hint: It requires more than eating a lot of salads. Here are a few suggestions. Start out with the short and sweet tips first, working your way down to the larger ideas. Before embarking on a big renovation adventure, start out just “thinking green” while striving to create an eco-friendly kitchen environment. Swapping out a Teflon pan for an old-fashioned cast iron skillet is a simple way to go green in the kitchen. Now, that was pretty simple wasn’t it? You should feel pleased with yourself for helping to save the planet for future generations. If you are cooking green and preserving food in a green manner, you are well on the way to a green environment. Always look for appliances with the Energy Star label for energy-efficient food preparation and storage they cut down on energy costs which is a plus for your pocketbook. A true eco-friendly kitchen uses equipment made from sustainable materials and will not use anything with toxic chemicals. Now, on to the renovation task at hand. Kitchen remodeling is not easy. The kitchen is the hubbub of activity in the home in most cases and it is hard to function properly with your kitchen all torn up. It seems there are endless delays, constant dust and mess, and the project will take forever to be a done deal. It is actually better to downsize your kitchen when you decide to go the “all green” route … a cumbersome and over-sized kitchen is not what you want if you are trying to conserve energy. Remember that an all-out, full-kitchen remodeling job is not a DIY project for the faint of heart, and, your better option is to call an experienced kitchen remodeling contractor in Scottsdale, Arizona. An expert, skilled in green kitchen remodeling, is even better. Some of the newer options to create a greener kitchen are listed below. Green materials choices for all aspects of your remodeling job include: cabinetry, countertops, finishes, and even flooring. If you are totally remodeling your kitchen with an eye to going green, you should really replace any of your old, energy-hogging appliances and fixtures with newer Energy-star appliances. You will be amazed at just how lightweight your energy bill will become. New techniques in plumbing can reduce utility bills, and make hot water delivery more efficient. As stated above, the easiest way to keep a kitchen remodel as green as possible is to keep its size reasonable. Keep in mind that a smaller kitchen will be greener than a gargantuan one. Kitchens are indeed a multi-faceted room where people gather to use it for work space, food storage, entertaining, and dining. During your consult with a kitchen remodeling contractor, he or she may ask the question: “what other types of issues would you like to correct from your existing kitchen layout – better lay ‘em all on me. Do you need to extend the countertop space near the appliances or sink? Address energy-wasting issues, like improved windows to make that kitchen area cozier? Improve the venting system on the stove hood by upgrading to a more-modern model? Does your current stove hood vent properly to the outside or actually return that polluted air into an attic or into back into the kitchen as the vent does not work properly? What about improving the sink because it leaks or is quirky?” Yes, all of these issues may be corrected along the way in conjunction with creating the ultimate green kitchen. Some of the leaner and greener suggestions that a green kitchen remodeling expert might like you to try are listed below. Recycled glass countertops are trending for a green kitchen, now that natural stone granite countertops are slowly losing their appeal in favor of a granite-look, rather than the real deal. Most kitchen re-dos involve the replacement of the countertop. If you’re seeking an eco-friendly style, there are many options, among them some from manufacturer Eco Cosentino, whose counters use a variety of upcycled materials — including porcelain and crushed mirrors. The countertops greatly resemble mosaic art. For additional recycled counters, you might try manufacturer Ice Stone and Squawk Mountain Stone’s Papercrete countertops, which similarly consist of natural elements such as re-pulped paper fiber mixed with cement, clay or soil. Depending on the manufacturer, customers can even design the glass pattern for the counter, if they dislike what is available. That privilege comes with a hefty price tag. However, since customer-designed slabs are $95 per square foot. New kitchen cabinets may be made of repurposed wood or aluminum; the former is cost-efficient and makes for an interesting product in your green kitchen, and the latter is streamlined and easy to keep clean, though a little slow to catch on in mainstream marketing. The manufacturer, Element Designs, has produced innovative aluminum cabinets made of 70% recycled materials. If the aluminum color for cabinets does not strike your fancy, you can get aluminum frames only and use your own wood-faced doors. A natural wood that is trending for green kitchens to combine with aluminum frames is bamboo. The aluminum frames and edging help to keep the bamboo from cracking. Installing a new stove hood like a state-of-the-art Zephyr brand is perfect for a green kitchen. This stove hood can consume 77% less energy than a traditional stove hood. The older recirculating range hoods blow minimally filtered exhaust air right back into the kitchen, even sometimes whooshing it right in your face as you are standing at the stove. For better ventilation (should you decide to keep your old hood) simple vent all stove hoods and exhaust fans directly outside, thus keeping noxious fumes out of the kitchen. Natural-dye tiles are an innovative way to add interest to your walls and floor. These very thin tiles are referred to as Slimmker tiles and are made by Inalco. They are a mere 0.15 inch thick, yet are equally as sturdy as traditional, thicker tiles. The process for creating the tiles uses 60% less dye and other raw materials, including water, and the reduces the emissions of dangerous chemicals like sulphur, nitrogen, and carbon monoxide compounds by between 30-50% during the Slimmker manufacturing process. Glass tiles by Eco-Friendly Flooring also market a recycled glass tile which is a good green option. Light up your life by going green and saving green by using LED lighting since LED lights have no filament that will burn out and contain no mercury or other toxic substances like other light bulbs. Customers laud LED lights because they often tire of the light fixture long before the lights burn out. Consider putting more windows or adding skylights if that is an option in your kitchen to provide natural light, a connection to the great outdoors, warmth and fresh air. 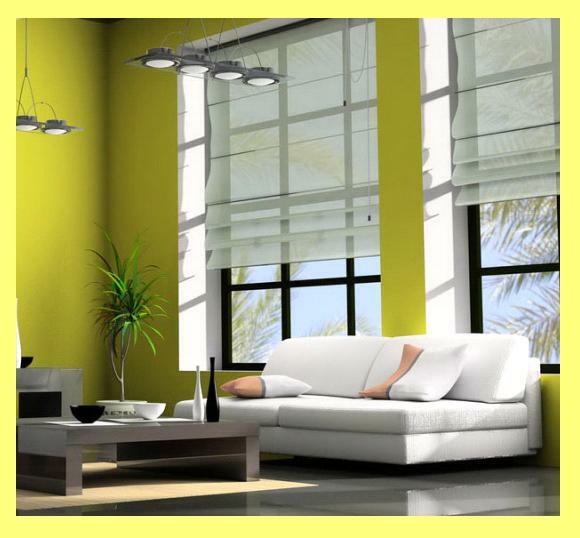 The energy savings for the room which has the most activity of any room in the house will be endless, however, do ensure you find an experienced kitchen remodeling expert to install the skylights so that they are strategically placed to ensure the kitchen does not overheat and they are properly installed so no leaks will occur. Short and direct plumbing runs are an excellent green choice for the kitchen because not only will you save alot of energy but your hot water will be delivered much quicker. Plumbing runs are best placed in interior rather than in exterior walls, since placing them in exterior walls makes the house harder to heat and cool, plus could possibly cause mold problems and/or frozen pipes. Using some or all of the tips listed above will garner you a green kitchen, then … who knows? You might move on to re-do the rest of the rooms to create a 100% green home.